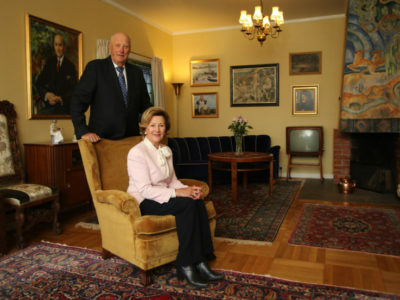 Queen Sonja and King Harald were celebrating their 50th wedding anniversary on Wednesday, two days after the queen ceremoniously re-opened her childhood home. It’s been moved from Oslo to the Maihaugen outdoor museum in Lillehammer, and restored to how it looked when it served as a safe haven for the couple who had to wait nine years to marry. “It went from being an ordinary, good, anonymous home to becoming a target of public attention in the beginning of the 1960s, when we could no longer hide the fact that the country’s crown prince was among friends frequenting Tuengen allé,” Queen Sonja said in her opening remarks at Maihaugen on Monday. Their son Crown Prince Haakon, daughter-in-law Crown Princess Mette-Marit and daughter Princess Martha Louise were also on hand for the occasion. 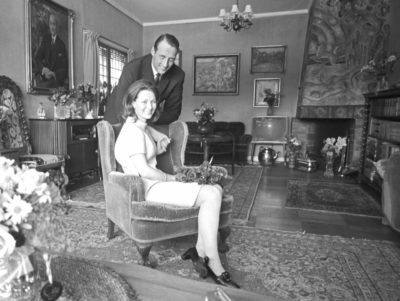 August 27, 1968 was the day on which “Miss Sonja Haraldsen” officially moved out of the home she’d shared since childhood with her widowed mother Dagny Haraldsen, and into the Royal Palace in Oslo. The couple married, after years of political debate over whether Harald should be allowed to marry a commoner, on August 29, 1968. 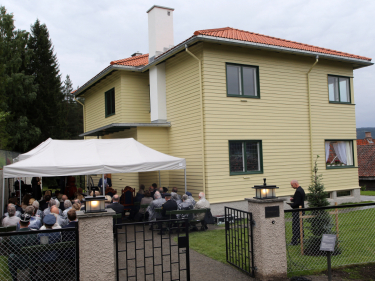 They later moved to the suburban estate of the crown prince’s family at Skaugum in Asker. They’d first met in 1959 and the then-Crown Prince Harald remained keenly interested in Sonja Haraldsen. They were both 22, she became part of his circle of close friends and was invited along with them to the palace on various occasions. Their budding romance, however, became a matter of concern for Harald’s father, the widowed King Olav V. Eva Braut of Maihaugen wrote on the museum’s own website that it was “in many ways unthinkable” at the time for an heir to a throne in Europe to marry a commoner. According to Norway’s own constitution, a prince can’t marry without the monarch’s consent. When Harald’s two older sisters married commoners in the 1950s, they lost any claim on the throne. When the romance between Harald and Sonja eventually became publicly known in the early 1960s, debate ensued. Newspaper Stavanger Aftenblad wrote in 1964 that “the crown prince should be able to marry a commoner without losing his right to the throne.” By that time, Harald was already 27 years old. Others objected, with Lillehammer’s own Tilskuer writing that marrying a commoner could “devalue” the monarchy and even wipe it out. “Greater values are at stake than simply following one’s heart,” the paper wrote. Sonja and Harald went their separate ways for a while, with the crown prince studying at Oxford and traveling abroad while Sonja also studied English, French and art history both in Norway and abroad. They were unhappy apart, though, and could never appear together in public. 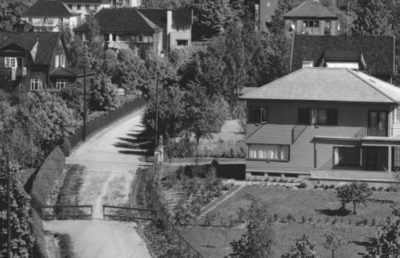 Her base through all the nine years of their difficult courtship remained the house at Tuengen allé 1B in Oslo, where Sonja’ mother welcomed Harald. King Olav, meanwhile, was keenly aware that his “dear son” was miserable and when Harald turned 30 in 1967, he told his father that if he was not allowed to marry Sonja Haraldsen he would never marry. That posed a real threat to the future of the monarchy. The king “sought the advice” of government leaders and the president of the Parliament and finally extracted a carefully worded statement that the government “would not advise against” the king giving his approval for the marriage. They married in Oslo’s cathedral, where they were returning on Wednesday for a special church service at 3pm. The celebration of the royals’ 50th wedding anniversary is relatively modest after the past two years of major national celebrations of King Harald’s 25 years on the throne in 2016 and the couple’s 80th birthdays last year. The couple planned to ride from the palace to the cathedral on Wednesday in the same open 1966 Lincoln Continental convertible, along the same route, in the hopes Norwegians would turn out to wave. The services at the cathedral will be attended by most government ministers and the 200 members of the general public who were first out to get free passes. The cathedral event will be followed by a private dinner for members of the royal family at the palace.